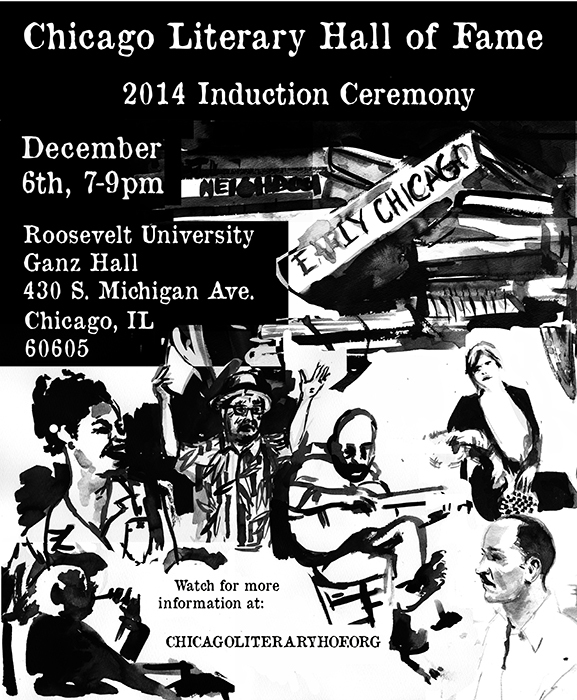 The 2014 induction class of six for the Chicago Literary Hall of Fame definitely has a poetic tilt to it. Three of the inductees, Edgar Lee Masters, Margaret Walker and David Hernandez are known first and foremost as poets. A fourth, Shel Silverstein wrote copious poetry, as well as children’s’ books and popular songs. A fifth, Margaret Anderson, introduced Ezra Pound and T.S. Eliot to the American literary scene by publishing their poems in her periodical, The Little Review. Only the sixth, the writer Willard Motley, does not seem to have any connection to the world of poetry. This entry was posted in Uncategorized and tagged Chicago Literary Hall of Fame, Chicago Poets, David Hernandez, Edgar Lee Master, Margaret Anderson, Margaret Walker, Shel Silverstein by aliteraryreeder.wordpress.com. Bookmark the permalink. Hope to see you this Saturday night at the Induction Ceremony!